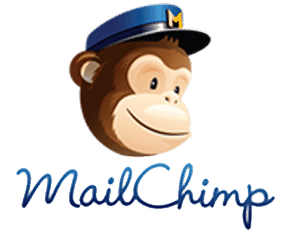 If you’re setting up email marketing on your website you may want to consider MailChimp. This email marketing service is comparable to other well known email marketing platforms such as iContact and Constant Contact. MailChimp offers competitive pricing compared to the other two mentioned and has a FREE plan for the first 2000 subscribers / 12000 emails monthly. WordPress has many plugins for MailChimp and it integrates well with LeadIn which is a lead tracking plugin worth adding to your website. 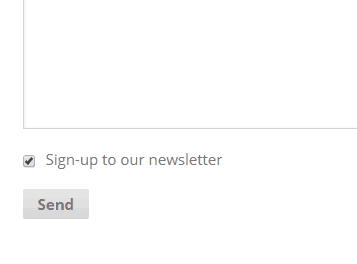 I’m the type of person who almost never joins newsletter subscriptions. I’m quick to completely ignore any popunders or popups which try to get my precious email address so they can send me countless emails in my already convoluted mailbox. However, if i’m filling out a contact form or checking out on on a shopping cart you’re probably more likely to get me or others to subscribe to your newsletter. If you’re looking to increase your email subscribers one simple way of achieving this goal is to include a subscription checkbox on your website’s contact form. I’m currently using Contact Form 7 to generate the contact form on my checkout page. For those of you who are new to WordPress, Contact Form 7 is a great plugin to quickly create contact forms or custom forms quickly and easily. I’m also a huge fan of Ninja Forms and Visual Form Builder Pro but for this blog we’ll stick to integrating MailChimp with Contact Form 7. Both of these plugins allow you to add a newsletter sign-up checkbox quickly and easily. Connecting both of these plugins to your forms requires a bit of configuration with MailChimp’s API. You have users automatically signup to your MailChimp lists. If you have a WordPress website and would like to have your contact form integrated with MailChimp as mentioned in the above call NexToronto Web & Digital Marketing at 416.893.3231 or fill out our contact form (don’t forget to join my own newsletter for my monthly newsletter i’ll be launching soon that will provide companies with great web and internet marketing tips).